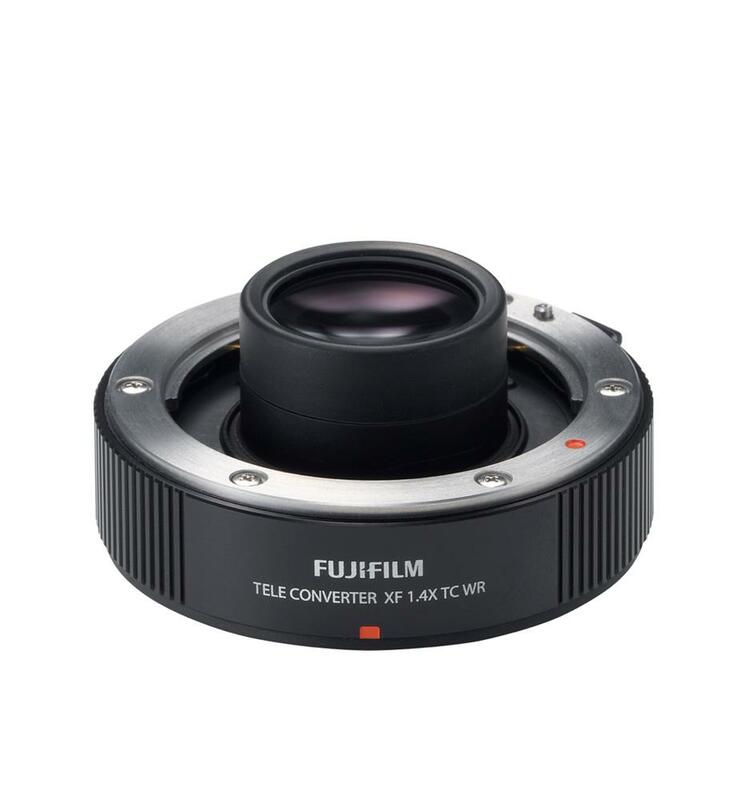 The FUJINON TELECONVERTER XF 1.4X TC WR is a high-performance teleconverter capable of multiplying the focal length of mounted lenses by 1.4x. Although the aperture becomes one f-stop higher when mounted, the teleconverter features an excellent optical design with a construction of 7 elements in 3 groups to maintain the optical performance of the original lens. Also, thanks to the unified design when mounted to a compatible lens, the teleconverter is weather and dust-resistant and operates at temperatures as low as -10 degrees C. This makes it possible to be used with confidence outdoors when used with the weather and dust-resistant FUJIFILM X-T1 camera body and XF 50-140mm F2.8 R LM OIS WR lens. Using the teleconverter with a weather-resistant camera and lens, such as the FUJIFILM X-T1 premium mirrorless camera and the FUJINON LENS XF 50-140mm F2.8 R LM OIS WR, does not affect the weather resistance of the system. A firmware update is required for the camera body as well as the XF 50-140mm F2.8 R LM OIS WR lens in order to provide full compatibility. This firmware is planned to be available on October 29th 2015. Please note that when updating firmware, make sure to update the camera firmware before updating the lens.Please refer to the following website for information on how to confirm your firmware version and its update methods.